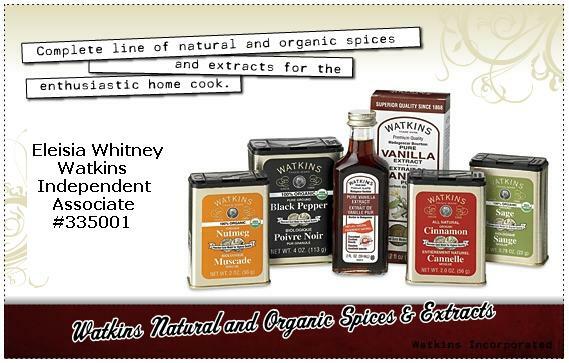 Watkins famous formula provides gourmet flavor that does not bake or freeze out. A premium baking staple ideal for any recipe that needs to be pure white like cakes, frostings, ice cream, and meringues. For wedding cakes and your white baked goods, turn to the choice of professional bakers. 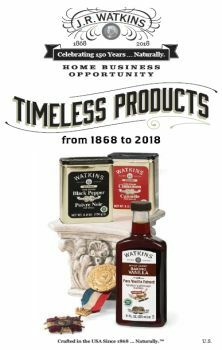 Order now for your holiday baking and for any time of the year. Our customers love this vanilla for all their recipes calling for vanilla. Order by phone 1-800-WATKINS (1-800-928-5467) Please give my name and ID# so I get credit for your order, Eleisia Whitney ID# 335001. Check out our other extracts and flavorings too. Awesome! Awesome! Awesome! I love the taste. I would not use any other vanilla. Best Clear Vanilla on the market! Everyone LOVES my cake frosting and you know why? 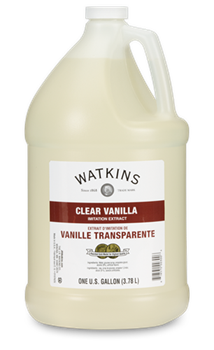 Watkins clear vanilla. My frosting is white and tastes delicious! If I am out of regular vanilla, I use this one but I try to save it for my special items that I need clear vanilla for. Love love LOVE this product! I love using this vanilla. It helps give my angel food cakes the best flavor and also leaves it a beautiful white. It adds really good flavor to lots of good eats. Can't usually find clear vanilla in this big of a bottle in the grocery. 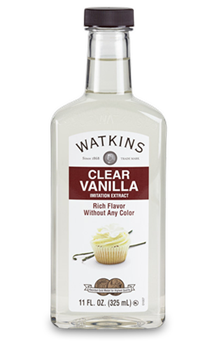 Watkins clear vanilla is a necessary ingredient in our bakery's gourmet chocolate chip cookies and our buttercream frosting. Wouldn't be without it! I use nothing other than Watkins Clear Vanilla for all my baking and making out of this world homemade ice cream.